Institutions worldwide are finding it hard to keep up with the rapid pace of advance in computer-based technology. This is all the more so for courts, which are typically steeped in tradition and ponderously slow to change. Globally, systems of justice are struggling to keep track of the sophisticated, rapidly evolving operations of modern cyber crime. But one Caribbean nation is tackling the issue head on, providing an interesting pattern for other countries of the region. The nation of Belize is taking an important step in responding to cybercrime, by upgrading of the capacity of its judiciary. "Cybercrime and cyber issues must now have a prominent place in judicial education," said Kenneth Benjamin, Chief Justice of Belize. In Belize, the legislative framework already supports the admission of evidence electronically. However, no laws are yet on the books to specifically criminalise the growing incidence of Internet-based wrongdoings. A cybercrime bill is expected to come into force soon, though. With that impending legislation, the Chief Justice plans to fast track judicial education, focusing on technology developments generally and cybercrime specifically. "The introduction of new laws must be accompanied by the development of policy and of regulations guiding the detection, investigation and prosecution of any alleged cyber misdeeds," Benjamin said, adding that only a few judicial officers had already received cybercrime training to date. 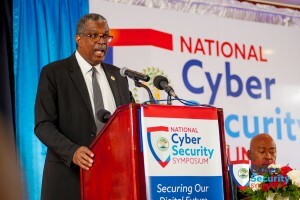 The Chief Justice was speaking at Belize's first-ever national cybersecurity symposium, held in Belize City from April 24 to 28. A special forum at the event included judicial officers and magistrates and focused on how cybercrime has been affecting the judiciary globally. The weeklong gathering was organised jointly by Belize's Public Utilities Commission and by the Caribbean Network Operators Group, a volunteer-based organisation focused on training programs to build the region's technical capabilities and safeguard computer networks. 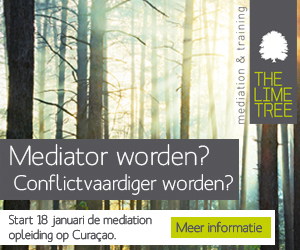 "This event marks an important milestone for the region's judiciary, and signals a new collaboration between Caribbean jurists and the region's technology community," said Bevil Wooding, a co-organiser of the event and an Internet Strategist with US-based non-profit firm, Packet Clearing House. The symposium drew nationwide attention, with more than 700 stakeholders taking par, including members of the Bar Association, military and law enforcement officers, representatives of the business chamber, the Central Bank, the association of ICT professionals, and many concerned citizens. "The forum marks the beginning of a process of sensitisation, and we plan to continue collaborating with the CaribNOG team to develop future training interventions for our jurists," Benjamin said. Caption: Chief Justice of Belize, Kenneth Benjamin, speaks on the opening day of the country's first-ever national symposium on cyber security, held at Best Western, Biltmore Plaza, Belize City from April 24 to 28, 2017. Photo courtesy Caribbean Network Operators Group.